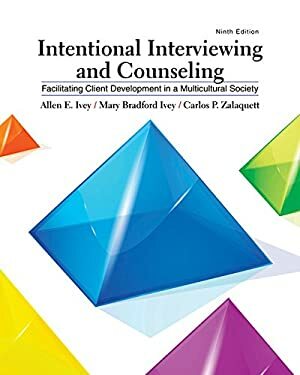 Over 500 data-based studies and years of field testing attest to the effectiveness of the microskills model in INTENTIONAL INTERVIEWING AND COUNSELING: FACILITATING CLIENT DEVELOPMENT IN A MULTICULTURAL SOCIETY, 9th Edition. This hallmark text enables students of many backgrounds to master basic skills in a step-by-step fashion, empowering them to use listening and influencing skills as they conduct full interviews. Students are challenged to re-evaluate their behaviors and perceptions, thereby gaining insight about themselves, their strengths, and areas where they can develop further. After finishing the text, students will have the ability to adapt their skills to address individual and multicultural uniqueness, conduct interviews using different theoretical approaches, and be well on their way to developing a personalized style and theory of interviewing and counseling. Neuroscience and neurobiology, and their applications to counseling, are clearly outlined throughout.